For All Your Door Repair Services Here in Sydney, Adsafe Doors Has The Experience And Knowledge To Get Your Door Back On Track. You already know the frustration of having a jammed or busted door. Or perhaps even worse, a door that not only doesn’t work but is a real cause for concern when it comes to burglaries and your family’s safety. 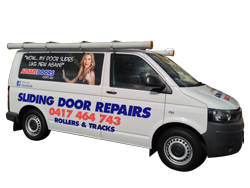 Our door repair services have been in action in Sydney since 1992. We bring a great deal of experience, knowledge and expertise to assist you in getting your jammed or broken door fixed…and fast. Irrespective of whether you are looking for commercial, industrial or home door repair services, we’ve got you covered. 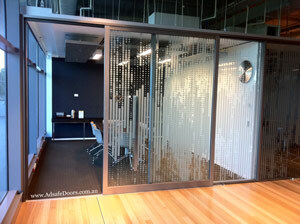 Below are the range of door repair services we offer here in Sydney and you can request a Free Quote. Not sure why type of door repair services you need? There is no doubt you already have a problem because you are on our website. We have a number of helpful posts on our website to help you identify which door repair service is best for you. Firstly, we like to get people to identify their sliding door. By identifying your door you can help us know the type of sliding door repair that is needed. You may also like to view our common disaster door problems. Our range of services can help repair every single one of the 12 disaster door problems mentioned there. Repair or replace your door? When it comes to sliding door repairs services, you may be wondering if you should replace or repair your sliding door. So we put together some handy information to help you make a more informed decision about the best sliding door repair service for your situation. No matter what you decide, you are best to give us a quick call to discuss your door repair service. We can give you answers within a few minutes on the phone.